DURING A hot Friday at Chequers at the beginning of July the UK Cabinet appeared to agree the UK’s Brexit position and by and large it reflected the BSIF’s position on collaborative working under a constructive arrangement of mutuality on regulation as it affected goods and products. However, within just a few days we saw the united cabinet position begin to change with the resignation of David Davis as the Brexit secretary followed by the departure of the foreign secretary. As we moved through July we saw the atmosphere changing towards a no deal Brexit “by accident” being threatened and the prime minister, seeking meetings with the heads of state to garner support for the principles of her proposal. Where all this will end is obviously the great unknown and its impacts and consequences are hugely significant in our industry and beyond. 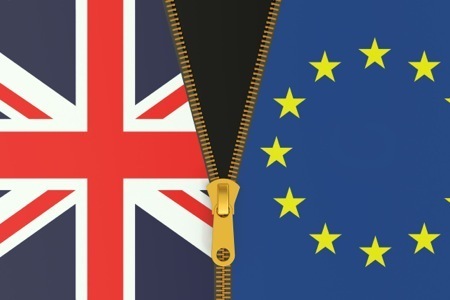 BSIF has since the referendum lobbied tirelessly with the authorities to ensure the needs of the safety and health industry were accommodated in the Brexit negotiations. The safety industry and all the product regulations are driven from European Regulation and Directives, the producers of PPE have built their businesses on them and the users by and large understand the standards. Despite a lack of product market surveillance by the authorities the regulations do provide a basis for product performance. If the UK comes out of the EU without formal mutual recognition of PPE under the current arrangements the entire protocol for the design manufacture and marketing of this crucial range of products will have to be re-invented. This in our opinion will lead to great disruption and the potential for massive disruption in the supply of PPE to the UK. Few if any manufacturers make PPE only for UK consumption at best if the current CE marking protocols cease to be recognised in the UK PPE will have to be additionally marked under some yet to be determined applicable UK quality regime which will add significant cost. Already we have seen authorities in the EU undermining the future role of UK notified bodies and accredited test houses and their status under PPE Regulations going forward. Many of these notified bodies provide certification services to non UK based manufacturers and they have already begun to take steps to relocate their businesses to retain their notified body status. This represents a drain of jobs and expertise from the UK and the UK safety industry. The efforts of BSIF representing the UK and supporting those businesses which help to keep people safe have been focused on maintaining the structures that have served the Industry and the users of PPE well for the past 30 years and we will continue to work to the end of achieving mutual recognition. Much of the focus of EU law and UK law as it affects the safety and health industry has been centred on general legislation as opposed to PPE which falls under the umbrella of “Goods” and that can lead to the potential of misunderstanding and confusion. When Article 50 was enacted the UK government pledged to ensure that health and safety legislation per se was adopted into UK law meaning that all existing conditions would be preserved. To this end on 24 July The Health and Safety (Amendment) (EU Exit) Regulations 2018 were enacted by way of Statutory Instrument. This is positive for the continuation of good safety and health in the UK ensuring that EU derived protections will continue to be available in domestic law after the UK has left the EU. We now need to see progress with PPE!